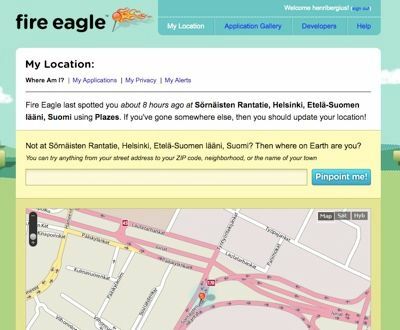 This is another case of location context being used to serve users better. To figure out where the user is coming from the site uses a combination of IP positioning and browser geolocation, while weather information comes from Foreca's feeds. 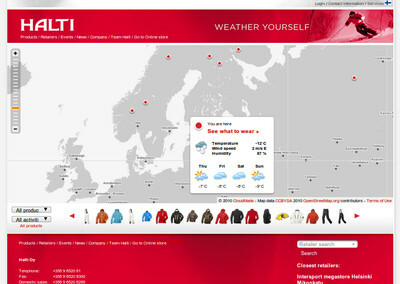 Map visualization uses CloudMade's OpenStreetMap-based maps. And of course the whole thing runs on the stable Ragnaroek series of Midgard. In other news, Jos et jaksa is another pretty interesting recent site launch, especially for the fact that it is the first-ever website running on the legacy-free Midgard2 platform and Midgard MVC. 15 September 2010. 1 minute read.